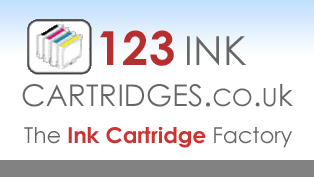 For instructions on how to transfer the 'chip' on Cli8 and PGi5 inks please click here or alternatively buy the new 'chipped' cartridges. 1. To fit your cartridge. i) You must firstly remove the strip from the top of the cartridge (this is covering a breather hole that allows the ink to flow). Ii) Then remove the plastic spacer clip from the side of the cartridge (this is the spacer clip that is holding the cartridge sprung latch clip in an outwardly position).
! Do Not squeeze the cartridge. 2. If your printer does not accept the cartridge. ii) If you get an error message, remove the cartridge and re-insert it. If still not accepted, remove the cartridge, shut the printer cover. Turn the printer off and on, re-boot your pc. Then re-insert the cartridge. Try re-insertion a few times until it shows ok.